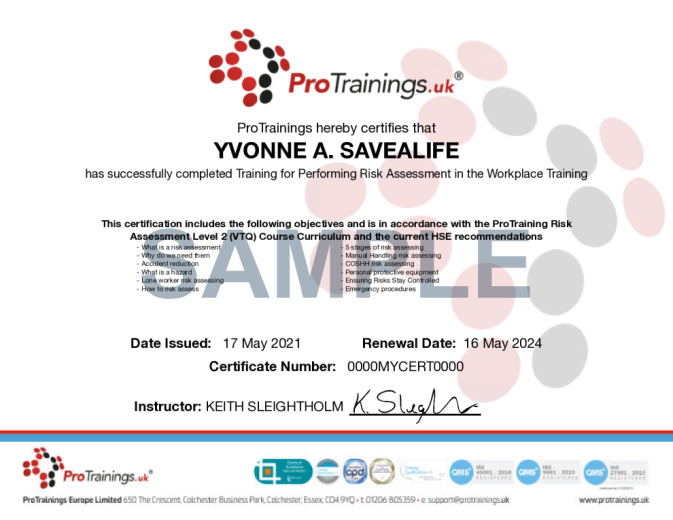 This qualification is designed to be an introduction to the principles of Risk Assessment. It covers why risk assessments are necessary, the legal requirements relating to risk assessments and simple processes for carrying out a risk assessment. 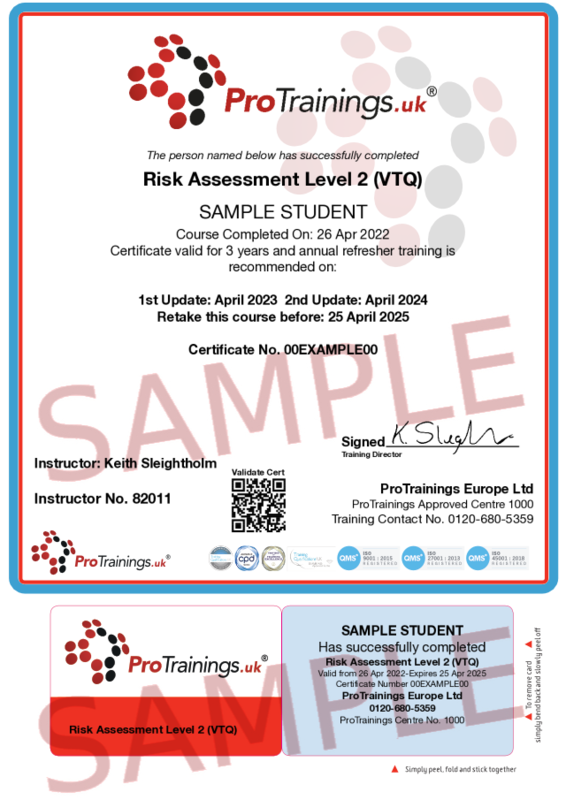 It is suitable for learners working in any environment who need to be more risk aware by raising their knowledge of risk in the workplace and the basic things they can do to control it. This course comes with 4.0 hours of CPD, although the time to complete the course online may be less than this. Total course time includes 58 minutes of video training as well as knowledge reviews, final test, remedial help and reviewing downloaded material.